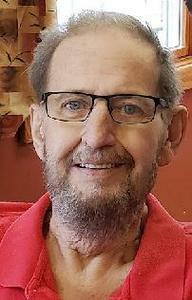 Edward K. Jones, age 73 of Holland, peacefully passed away May 20, 2018 at Medilodge in Holland. Ed was a man who loved to have fun on the spur of the moment. He loved going to the beach, weather it was to watch the storms roll in, or just as an excuse to stop by Captain Sundae. He also loved the outdoors, hunting, fishing, and playing golf. Most important to Ed was his family. He was a loving husband, father, grandfather, and brother who will be forever missed. He was preceded in death by his parents, Walter and Florence Jones; brother Ronald and sister, Sandy. Ed is survived by his loving wife Lynne of 55 years; 3 daughters, Nadean, Rajean, Kristi; 4 grandchildren, Dale, Caleb, Cameron, Devyn; 4 great-grandchildren, Wyatt, Emma, Marshall, Ella; and 6 siblings, Richard, Walter, Leona (Wells), Shirley, Vic (Jan), David (Barb). A Celebration of Life will take place on Thursday May 24, at 5:00pm at Northpoint Assembly of God in Holland. Internment will take place at a later date at Restlawn Memorial Gardens.